Rinnai has been serving their customers with home heating products since 1974. 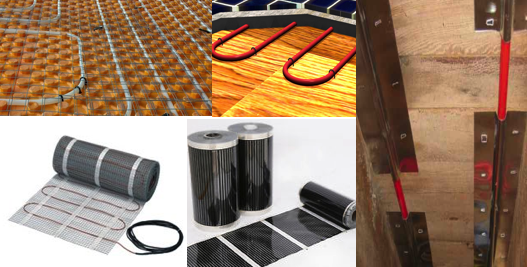 The company’s inventory ranges from everything from spa heaters, fireplaces and furnaces. 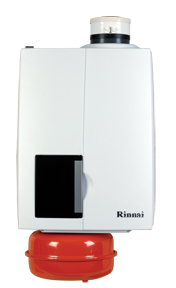 Rinnai is a company perhaps best known for their tankless water heaters. Did you know that they have a complete line of boilers? One of these premier boilers in the Rinnai Boiler inventory is the Rinnai E110C Gas Fired Boiler. This boiler is an Energy Star rated appliance, you know when you have something with that blue Energy Star label you will be sure to start saving money right away. Most homeowners are looking to start saving money anyway they can and if you are looking to replace your old boiler with a new energy efficient one then the E110C Gas Fired Boiler may be what you are looking for. 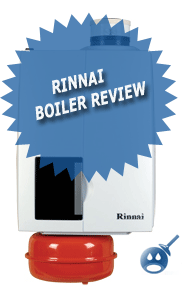 The Rinnai E110C Gas Fired Boiler can provide your home with more efficiency and less heating expense. The E Series boilers such as this one will work perfectly with homes that have small domestic hot water applications. Some of the features offered on the E110C is that it has a more variety of venting options than standard boilers. The E110C comes equipped with a stainless steel primary boiler heat exchanger and a copper nickel secondary plate heat exchanger made for domestic hot water. The E110C is compact in size and measures in at 20 inches in width x 27 inches in height x 15 inches in diameter. If you have a small basement area then this is the boiler for you. The minimum Input BTU’s on the E110C is 26,000 and the maximum BTU’s are 110,000 if you are using Natural Gas and if you prefer Liquid Propane then the minimum Input is 59,000 BTU’s to 100,000 BTUs. The maximum flow rate for domestic hot water is 4.8 gallons per minute and the E110C Gas Fired Boiler has an AFUE Rating for both Liquid Propane and Natural Gas of 96.1%. Some of the other features and benefits of the E110C Gas Fired Boiler is the single speed pump and expansion tank. This boiler has an outdoor reset function key with a sensor included. The units come with plumbing kits with low loss headers; these kits also include the DHW Supply, the Boiler Drain, the System Supply, System Return, Boiler Return and the Boiler Supply. These units are designed to be very quiet so the noise will not take over your house. Before purchasing an E110C Gas Fired Boiler from Rinnai contact your local dealer and ask any questions that you may have. You will also want to have a professional do the installation of any boiler. This will ensure safety as well as proper installation. Ask your dealer about the warranty and register your product within the time allotted. If your old boiler is not getting the job done, then it may be time to start looking for a more energy efficient, cost effective way to heat your home comfortably and safely. The Rinnai E110C Gas Fired Boiler is a great place to start.